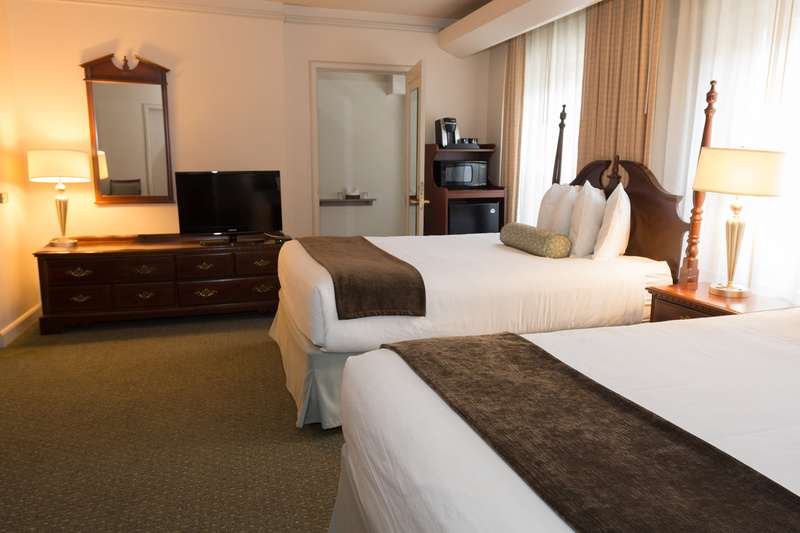 The Inn at Virginia Mason offers a variety of rooms to accommodate every guest. 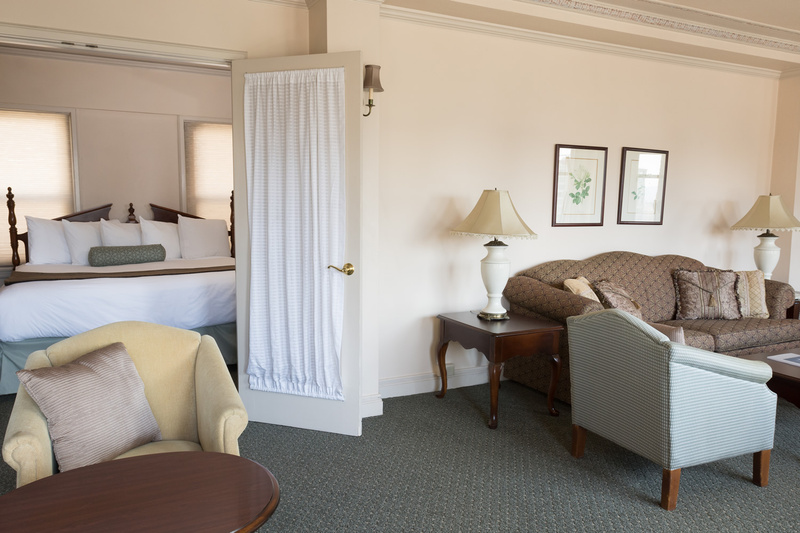 Rooms at the Inn are tastefully designed with your comfort in mind. 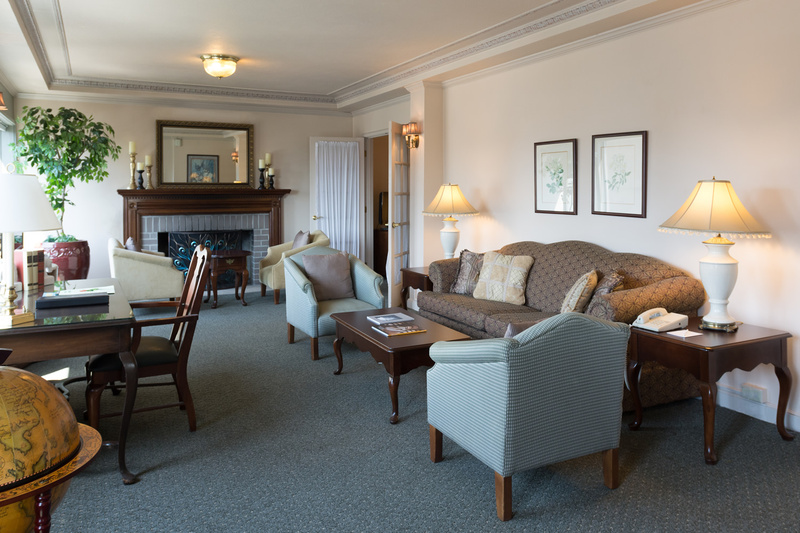 Many of the suites retain historic charm of arched entryways and crown molding. All guests rooms are completely smoke free. The graciously appointed Penthouse Suite offers the luxury of spaciousness. A decorative fireplace and several sitting options make this a perfect place to socialize. A small wet bar with refrigerator microwave, sink and coffeemaker round out the options for entertaining or relaxing. The main room includes a 55" TV and the bedroom features a 32" TV. The separate sleeping parlor includes a king-sized bed and private bathroom with a jetted tub and full-size shower. The Penthouse also offers easy access to the rooftop deck. Ample natural light, coved ceilings, arched entryways, a built-in reading nook and decorative fireplace make this suite a comfortable place to call "home." 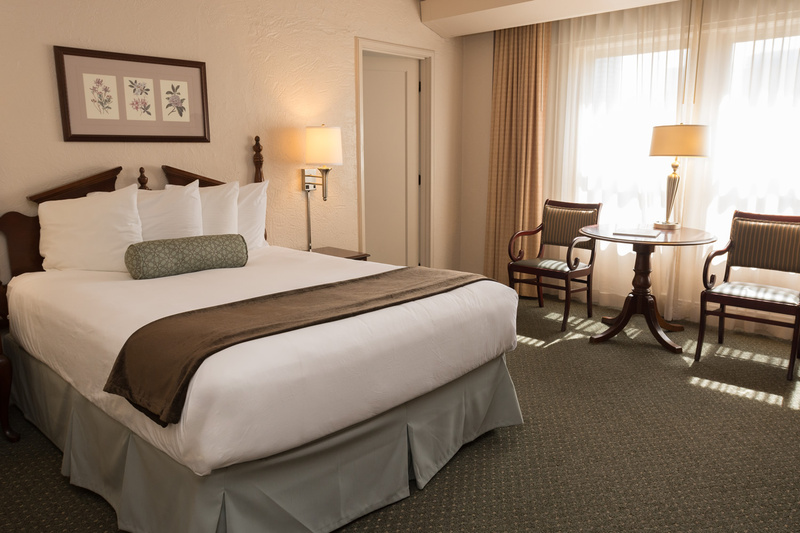 A king-sized bed, sofa and separate dressing room provide adequate space for everyone. The Suite features a private bathroom with a jetted tub and full-size shower, as well as a 55" TV, refrigerator, microwave and coffeemaker. These spacious rooms offer a sitting area, private bathroom with a full-size shower, mini-fridge, microwave and coffeemaker. Available with one king-sized bed or two queen-sized beds. 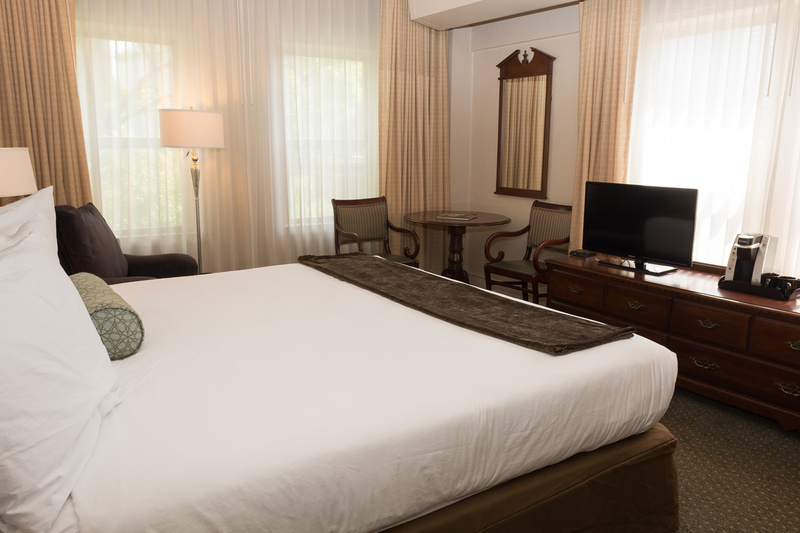 Our Deluxe King room features a king-sized bed, mini-fridge and microwave, armchair and ottoman, and a private bathroom. 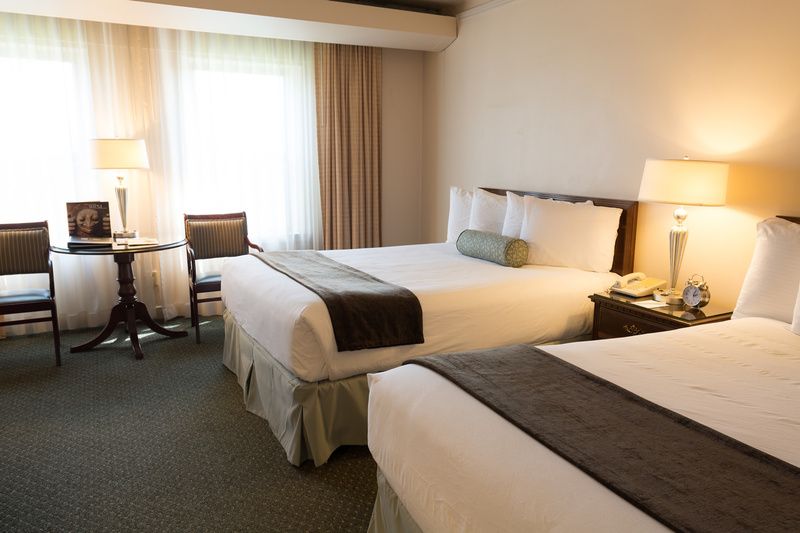 Our Deluxe Queen rooms feature a small table and two chairs, coffeemaker, and a private bathroom. Available with one queen-sized bed or two queen-sized beds. 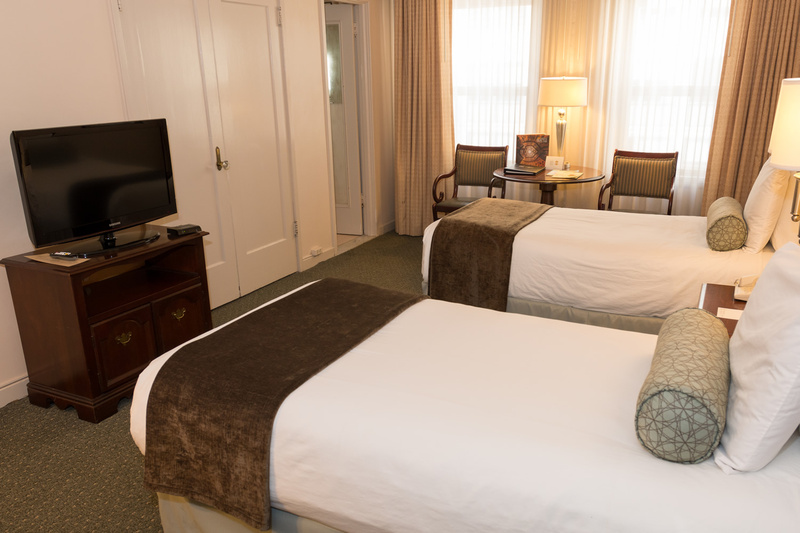 Our most popular room for budget travelers, Standard Twin rooms include two twin-sized beds, a small table and two chairs, a private bathroom, and a coffeemaker. Perfect for inexpensive downtown Seattle visits.